Your DGB for this weekend is to read the Southern Poverty Law Center’s tracking of hate in the White House during last month. 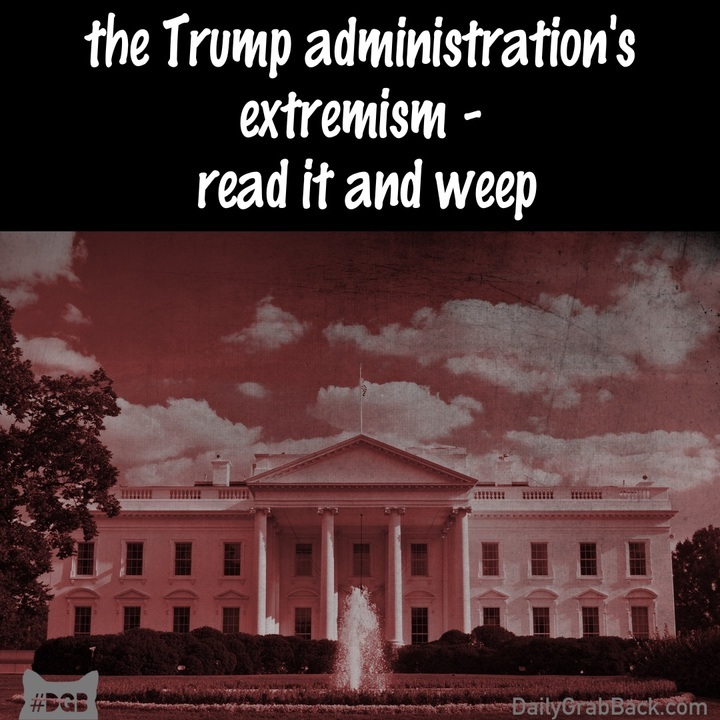 SPLC has been doing the arduous work of compiling all the instances of extremism in Trump’s White House, any one of which would have been front-page news back before The Incident, as we now refer to the 2016 election. Now, most of these objectively alarming news items are buried among What He Tweeted, but each one is important. Yes, they’re hard to stomach, but you have the weekend to digest the poison in small doses. We have to stay vigilant in our assertion that none of this *waves arms frantically* is normal.